By now you have surely heard about how wonderful coconut oil is. It offers so many wonderfully healthy properties that it should really be a staple in every home. 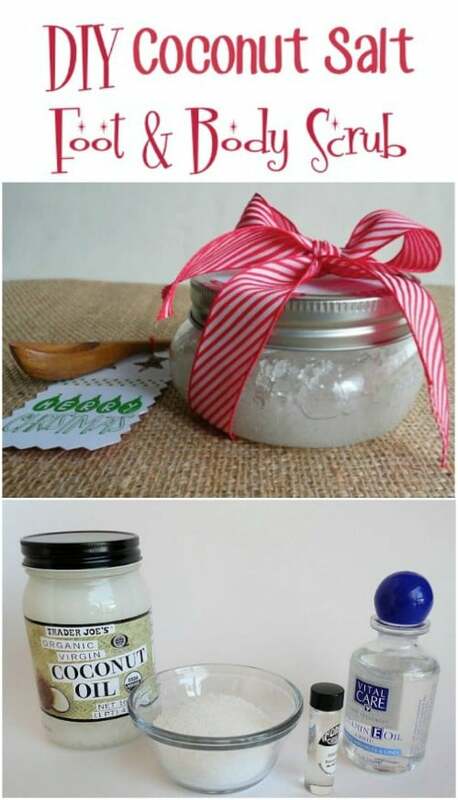 I always have at least two jars on hand and use it in everything from cooking and baking to making candles and lotions. Seriously, this stuff is so versatile and let’s be fair, the scent is simply out of this world. So, if you’ve ever wondered about just what you’re supposed to do with coconut oil, I’m here to help you find the perfect homemade health and beauty product to put that coconut oil to great use. 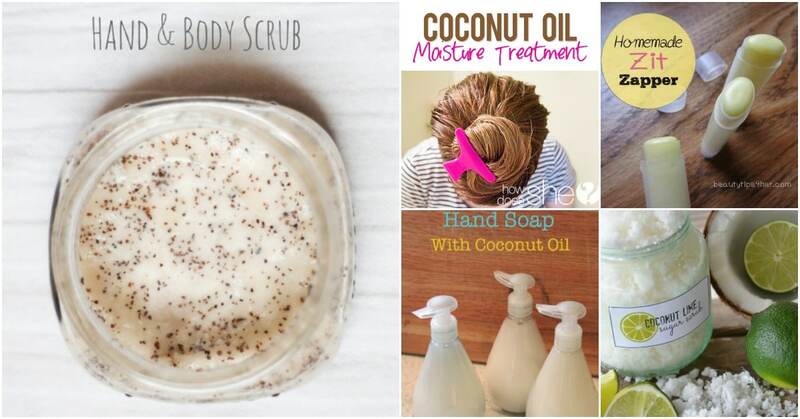 These DIY coconut oil products are all very easy to make and you can seriously deplete most of your health and beauty products and just replace them with homemade products. You just never know what chemicals are included in certain beauty products and while you can certainly by all natural, that tends to get a bit expensive. Why not just make those beauty products yourself? You’ll definitely save money and you’ll give yourself peace of mind by knowing exactly what goes into your products. 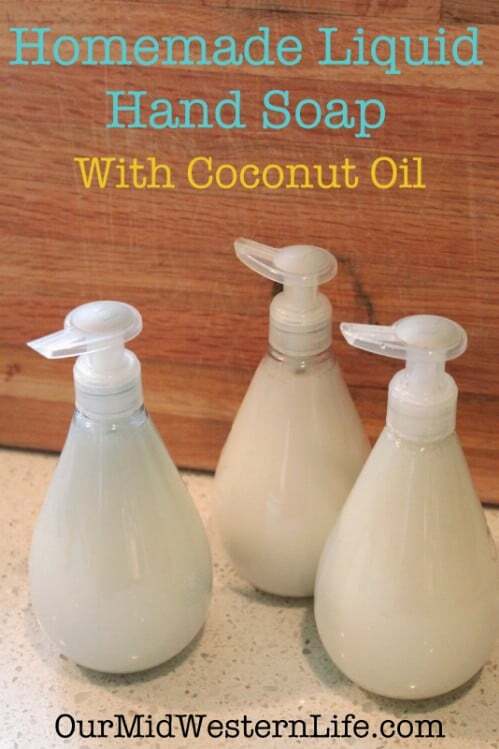 There are some wonderful uses for coconut oil. Aside from these beauty recipes, you should also check out these other 26 miraculous uses for coconut oil. You’ll be surprised at how beneficial this little oil can be. Coconut oil is great for diminishing wrinkles and fine lines, it works perfectly to help soothe dry and cracked skin and can even be used as a really effective deodorant. And, these recipes take very few ingredients and they are all things that you can make whenever you have a few extra minutes each day.. And, if you’re really a bath fan, be sure to check out these 30 easy bath bomb recipes. Who knew bath bombs were so fun and easy to make? From shaving cream to soap, you’re going to find the perfect way to use that coconut oil – which is really inexpensive by the way – and give yourself some of the best beauty products on the market. You just won’t have to pay an arm and a leg for your beauty regimen any longer. I hope you enjoy these recipes and I hope you’ll share your favorite! This easy two ingredient eye cream incorporates all of the benefits of coconut oil with Vitamin E to tackle those wrinkles and dark circles under your eyes. Just mix melted coconut oil with Vitamin E capsules (you’ll have to pierce the capsules to pull the vitamin out) and then use it morning and night to tackle everything from age spots to fine lines. 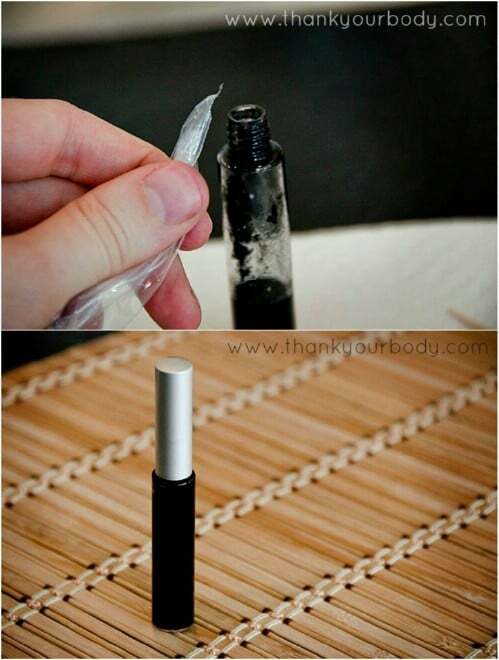 You can make your own mascara! And, it’s much cheaper than any makeup that you can buy over the counter…and much safer and healthier, too. The ingredients depend on what color you need. You’ll use activated charcoal for black and cocoa powder for brown. Mix that with coconut oil, aloe vera gel and bees wax and store in a clean mascara container, which you can buy from Amazon or any beauty supply store. Coconut oil does wonders for dry and damaged hair. 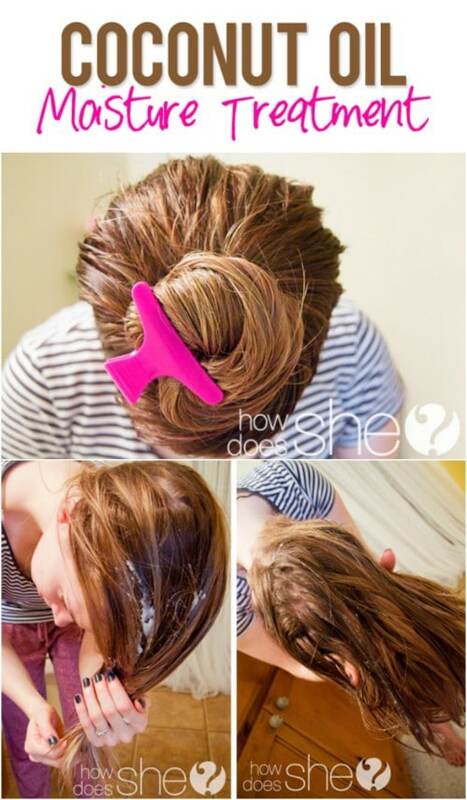 I use it all the time to tame split ends. You can make your own moisturizing hair treatment with coconut oil, honey and apple cider vinegar. This hair mask stays on for about 15 minutes. The ingredients work on dry hair as well as dry scalp and the apple cider vinegar removes buildup from those other hair products, leaving your hair soft and silky for days. 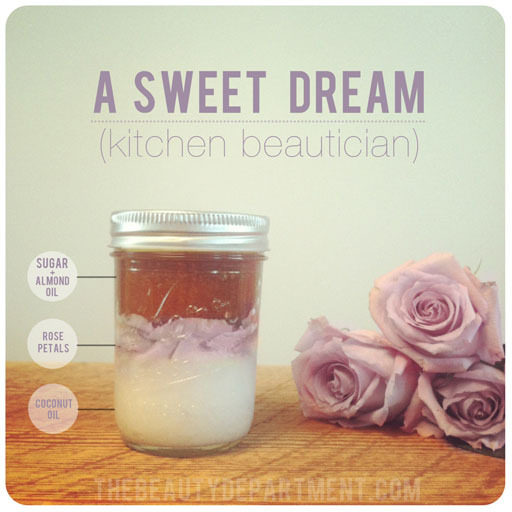 I love sugar scrubs, especially DIY sugar scrubs and this one may just be my favorite yet. The coconut oil and lime work together to give it a wonderful summertime scent and the ingredients are perfect for soothing dry skin. This one is really easy to make, too. You just need coconut oil, granulated white sugar, lime essential oils and shredded coconut. You’re going to love this one – it’s as easy to make as it is wonderful to use! Coconut oil and coffee are the only ingredients in this scrub that is perfect for sloughing away dry skin cells on your hands, feet, and all over your body. You use used coffee grounds, so save those grounds when you finish your last cup of coffee in the morning and then mix them with coconut oil. This not only works well for softening skin, it smells absolutely amazing. This cuticle cream only has one ingredient…coconut oil. You just rub coconut oil onto your cuticles and then push them back with a cuticle stick or brush. The coconut oil helps your nails to grow long and healthy and really makes pushing cuticles back a breeze. Plus, if you have coconut oil in your cabinet, this one won’t cost you anything. Vitamin E and virgin coconut oil make this hand cream luscious and wonderful. This mixes up really quickly and is perfect for soothing away dry skin during the winter months. You can also add essential oils if you want extra benefit or if you just want to change the scent from coconut to something bit more winter worthy. This hand cream is based only on 3 ingredients: 1/2 cup coconut oil; 1/2 cup extra virgin olive oil; 1/2 cup beeswax. How the coconut oil hand cream is made and used? You just need to follow these simple steps: First you need to melt at bain-marie all 3 ingredients (put them together in a bowl – it may take around 20-30 minutes until the coconut oil and beeswax will be fully melted). Choose the recipient you will use for your new hand cream – pour the melted mixture in it and stir continuously until a creamy composition is obtained. The best way to obtain maximum results is to apply the coconut oil hand cream at night – apply it on your hands, cover your hands with a pair of cotton gloves and wait until the morning to have the softest hands in the world. This lip balm is perfect for the upcoming winter months. 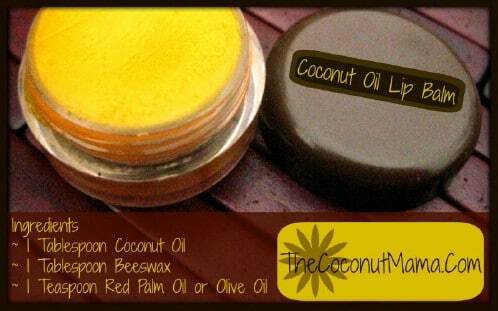 It combines beeswax with coconut and olive oils to help keep lips soft and smooth. And, you can make this in about five minutes. Just store it in a lip balm container or any container with a secure lid and it will keep for several weeks. This lotion is perfect for soothing dry and cracked winter skin. It only has four ingredients and is quick and simple to make. Just add baby lotion to your coconut oil, along with Vitamin E and Aquaphor. The lotion soothes dry skin and helps to protect it from cold and winds during the winter months. 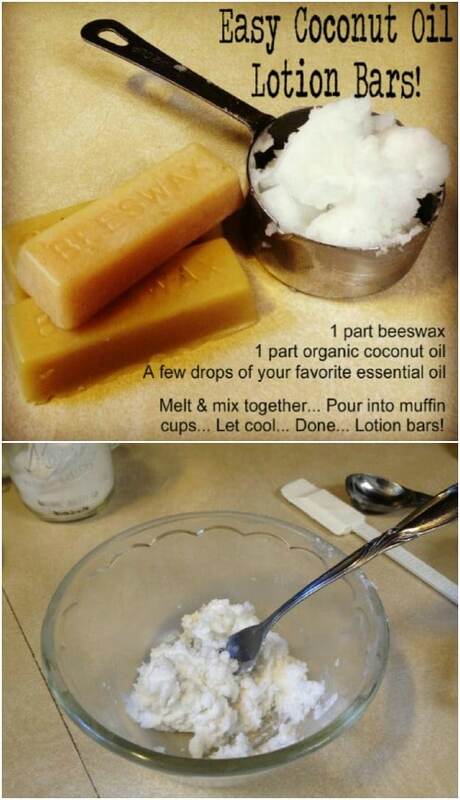 To make these amazing lotion bars, you just mix equal parts of coconut oil and beeswax. You can also add in any essential oils that you want. After you have it all mixed up, just press into muffin tins or molds and let set until dry. These little lotion bars are great for keeping dry skin away and they make wonderful gifts for the upcoming holidays. 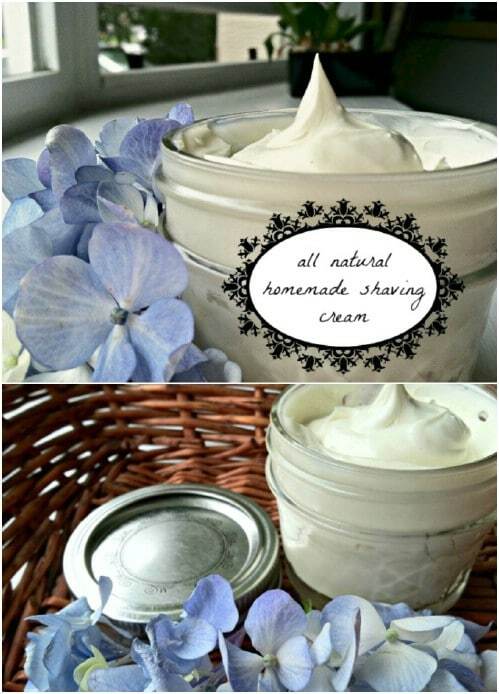 Making your own shaving cream is bound to help you save money and this recipe is super easy to make. You blend coconut oil with shea butter, sweet almond oil and essential oils to create a rich and creamy lather that will help to soften skin as you shave. This is great for men and women alike and it smells wonderful. Coconut oil, course salt or sugar and Vitamin E oils make a wonderful scrub for your feet. 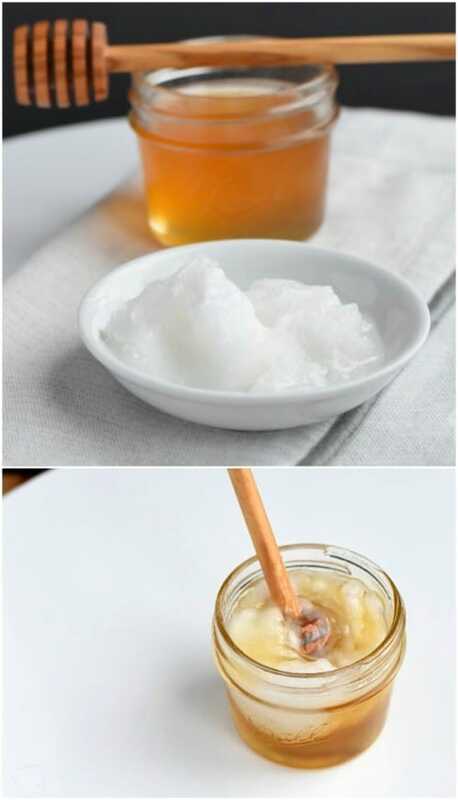 Just mix the ingredients together and then use it to slough away all those dead skin cells from your feet and toes. This would make a wonderful gift for anyone you know who adores a good pedicure and it’s perfect for keeping feet soft and smooth all year long. This homemade coconut oil cream is perfect for eczema. It contains shea butter, tea tree oil and lavender essential oils to help sooth your skin and keep skin clean. Each of the ingredients offers a great benefit for those with eczema and this one is really easy to make. 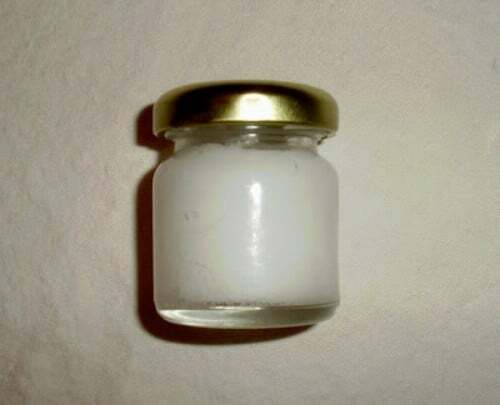 You can store it in a tightly sealed container for a few months and just use it when your eczema flairs up. Smooth coconut oil and honey over your face and what do you get? You get a homemade face mask that packs some powerful anti-aging and antibacterial properties. This one is great for soothing dry skin and generally keeping your skin looking fresh and young. Honey has amazing antibacterial properties to keep skin clean and the combination of honey and coconut oil offers a great anti-aging effect. Yes, you can make your own deodorant! And, it works really well. 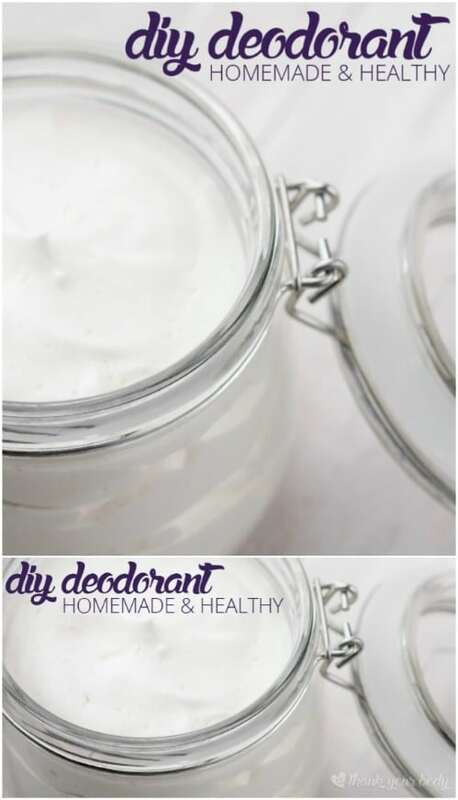 Homemade deodorant helps you to avoid certain chemicals and ingredients that could be harmful to your skin. This one contains coconut oil, baking soda, arrow root powder and essential oils in whatever scent you prefer. It’s a very effective deodorant and so very healthy for your skin! Plus, it’s super easy to make and works out to be much, much cheaper than any deodorant that you can buy in a store. 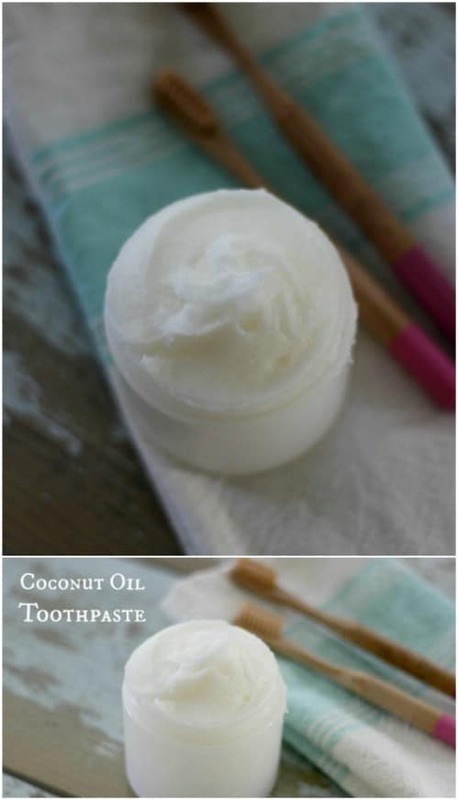 The baking soda in this toothpaste recipe has a wonderful teeth whitening effect and the coconut oil is actually really good for your teeth and gums. Plus, it tastes much better than plain baking soda. You can also add various essential oils that have antibacterial properties, which will help to keep your mouth clean and help you to avoid any germs that you may be passing along. Forget those expensive liquid hand soaps in stores. You can make your own liquid hand soap that is conditioning so it helps to keep your hands soft and smooth. You use a cheese grater to grate up any bar of soap that you want…like Caress, Dove, or something equally as softening, and then add coconut oil and essential oils. This soap can be stored in an empty liquid soap container, which you can get at any craft store, and it keeps for months. I’ll admit, body butter is among my most favorite beauty supplies. It just feels so wonderful when you soothe it onto your skin. 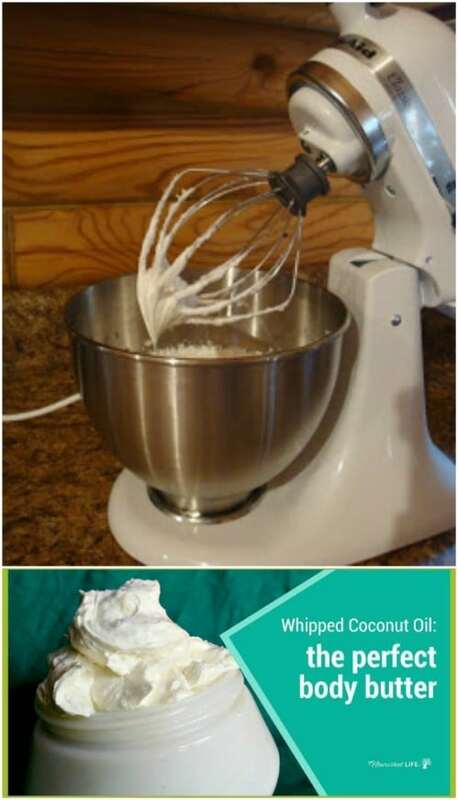 I’ve bought body butters before and spend about $20 each on them…but that was before I found this coconut oil body butter recipe. 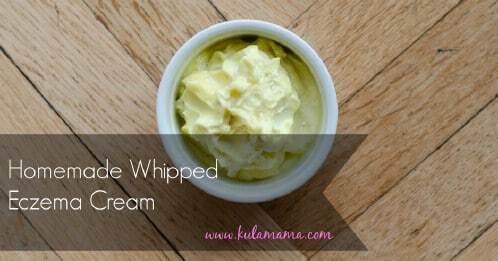 You can recreate your favorite body butter and save a fortune with this one. Just add Vitamin E and essential oils – both of which are optional – to coconut oil, which is all you really need to create this. coconut oil and tea tree oils work together to clear up that acne and leave your face smooth and refreshed. 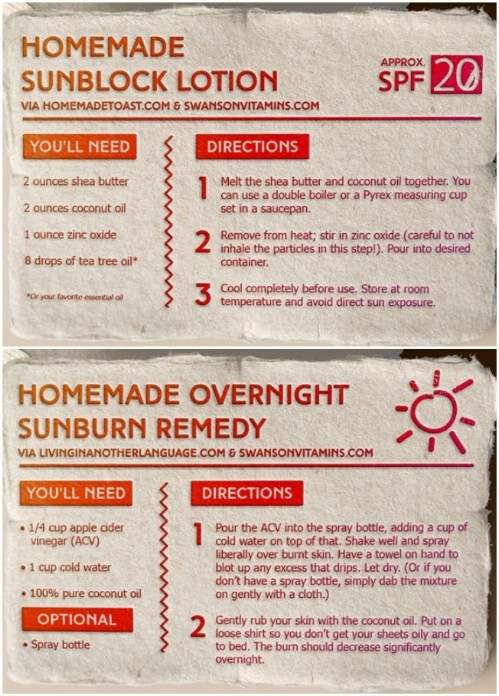 Zinc oxide, coconut oil and shea butter create a wonderful sunblock lotion that you can use to keep from getting burned. You can also use coconut oil with a little water and apple cider vinegar to soothe sunburn in case you do spend too much time in the sun. Plus, these recipes are completely non toxic so there are no worries of using them on little ones. 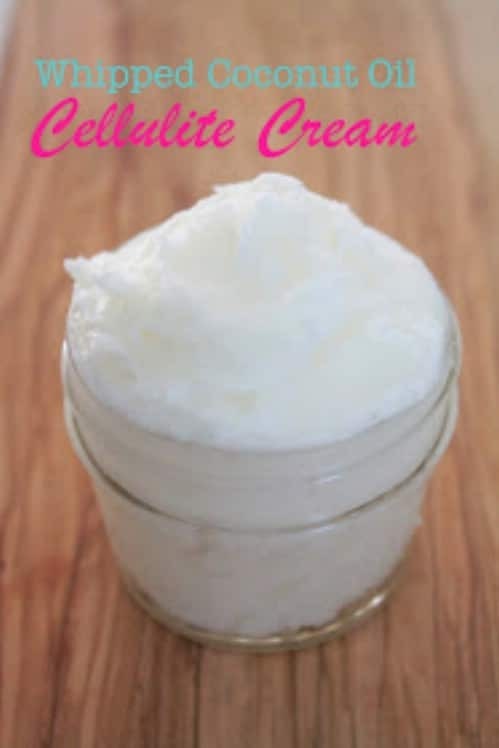 Coconut oil when mixed with lemon and peppermint essential oils creates a wonderfully effective cellulite cream that really works to smooth the skin and erase those horrible looking cellulite blotches. This stuff is great for smoothing the wrinkles out of your skin and it takes only a few minutes to make. You can store this in a tightly sealed container for months and use it as often as you like because it is really safe and healthy for the skin. Create a wonderfully lathering soap with coconut oil, lye, water and essential oils. You can use this soap for cleaning yourself or add it to your laundry to get your clothes sparkling clean. It’s an easy to make recipe that doesn’t take long at all to set up and it’s perfectly safe for all skin types. It’s a super inexpensive bathing or laundry soap that has wonderful conditioning properties for the skin. 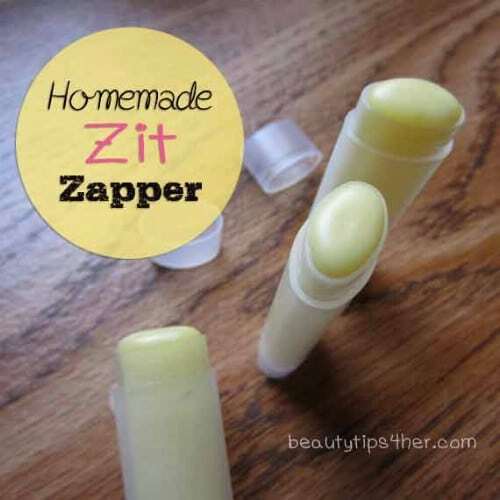 Save yourself some money by making your own lip gloss. Not only is this coconut oil lip gloss inexpensive, it’s very soothing and helps to keep your lips soft and shiny anytime of year. You use coconut oil, Vaseline and a bit of lipstick to make it – lipstick gives it color – and add essential oils in any flavor or scent that you want. This stores well in small containers and makes a wonderful gift for any lip gloss lover that you know. 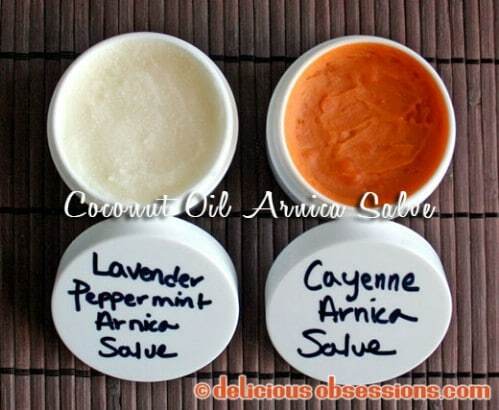 You can use this salve for any number of skin conditions and it’s really easy to make. It combines the benefits of coconut oil with those of arnica flowers to create a salve that you will never want to be without. This is a great non toxic soothing salve and it makes a wonderful gift for everyone on your holiday gift list. What better way to soothe away the day than to sit in a wonderful bath, complete with these homemade white chocolate coconut bath melts? With cocoa butter, coconut oil and your choice of essential oils, these bath melts smell and feel amazing and they’re great for helping you to relax after a long day. Use a mold to make them and they make the perfect gift for the upcoming holidays. Body butter is a luscious treat for your skin and you don’t actually have to pay an outrageous price to get it. This DIY skin lotion recipe is great for those who love thick and rich body lotion. 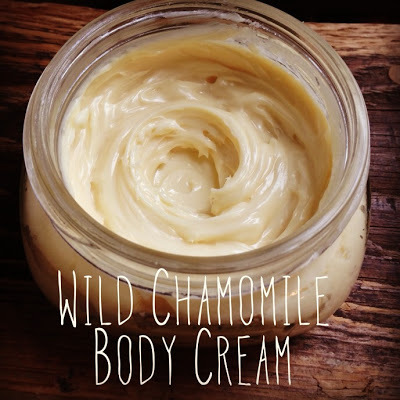 It uses chamomile which is very good for your skin and helps to keep it hydrated. We found this recipe at Fresh Picked Beauty and it tells you everything you need to make your own wonderfully rich body cream. Just mix the ingredients together and you can store it in the refrigerator which is great if you like your body lotion to be just a bit cool during the summer months. Gorgeous hair begins with the right shampoo. 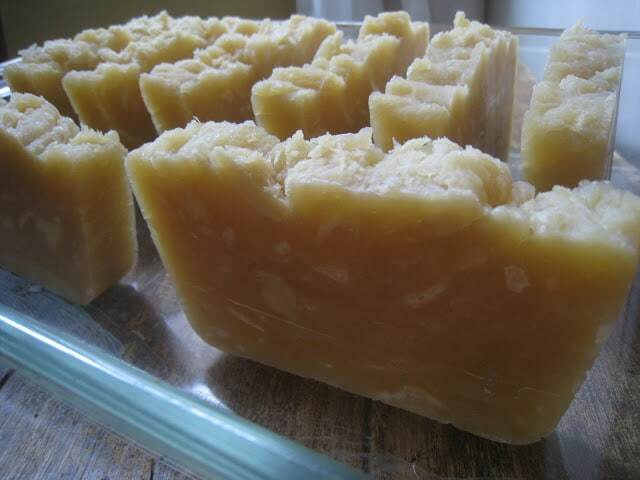 This recipe from Frugally Sustainable will have you making your own shampoo bar soap in no time. 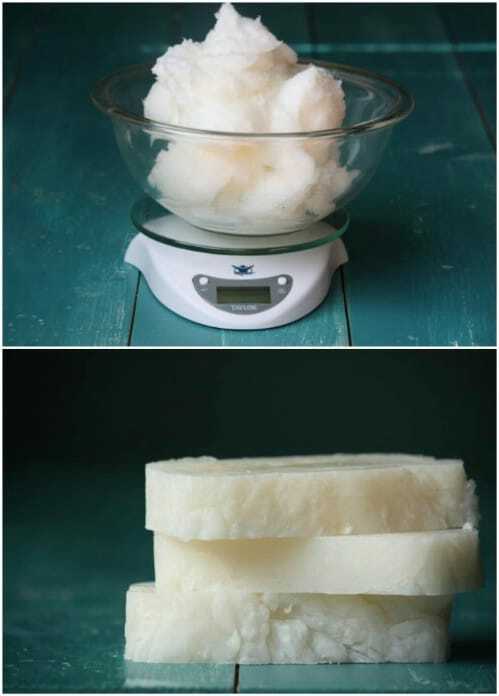 This is a relatively easy to make bar soap that gives you gorgeous locks. You just have to gather together a few key ingredients and the tutorial offers a few different ways that you can “cook” the soap. Making your own soap and shampoo can help you to save a fortune every year and you get to control what goes into them so you know that there are no harsh chemicals that can damage your hair. Summer will soon be here and with it comes dry skin. This great coconut and rose body scrub from The Beauty Department is easy to make and will exfoliate that dry skin, leaving you silky and smooth. It is a very easy to follow recipe that uses a bunch of yummy ingredients that smell wonderful and have great skin benefits. Coconut is really good for your skin and who doesn’t just love the smell of roses? This great scrub can be kept in a mason jar for storage and will last you the entire summer so you’ll have great skin all summer long. From lip gloss to cellulite cream, who would have thought coconut can be this flexible? Truly a nature’s gift. Thanks for sharing! Can hardly wait to try some of these. I have the coconut oil and most of the other items. So will try some of the recipes this week.